An Onboarding Program Helps Prepare Employees for Success! New employees usually decided to stay or leave the company within the first six months. It’s common to hear employers say they want new hires to ‘hit the ground running.’ But in reality, even the most experienced employees need some guidance in the first few months on the job. They may have the right skills to make an immediate impact, but won’t be familiar with the new employers’ way of doing business. Without an onboarding program, new hires not only struggle during their initial weeks on the job, but they also won’t have the tools necessary to succeed. Employer focus on being prepared, welcoming, and helping new employees increases the opportunity for new hires to want to impress their new employer and fellow teammates. Effective onboarding programs help to make a smooth transition for all! Organizations often confuse the onboarding program with the new hire orientation. New hire orientation is the first introduction the candidate transitioning to an employee has to the company. This is when the employee fills out all the necessary paperwork, reviews the company’s policies and procedures, and discusses the benefits program. 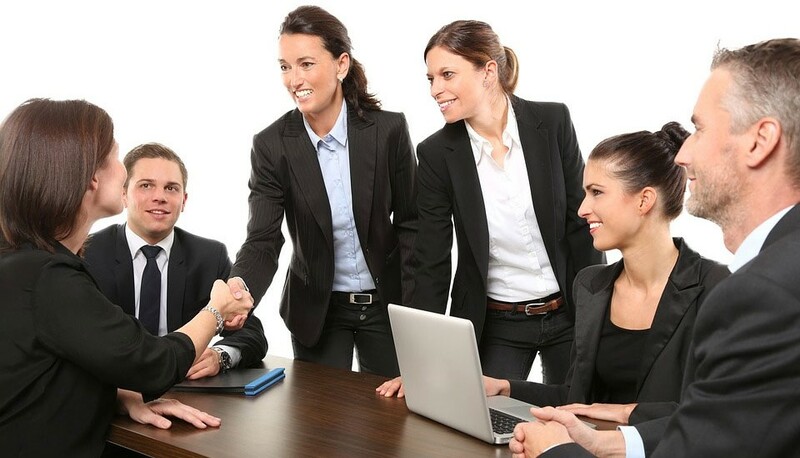 The onboarding program is in addition to the new hire orientation and is a plan that is put together by the manager and peers before the employee begins. This program introduces the mission, vision, and values of the company and usually lasts for the first six months to a year to ensure the ongoing success of the employee. Preparing a job description that outlines the essential and non-essential responsibilities of the position as well as the skills and experience needed. Job descriptions are valuable not only during the interview process but are also used to set expectations for employees and helps manage their performance. Sending out an announcement to all staff introducing the new employee including their role, the skills they bring to the organization, and their start date. Ensuring the employee has the tools and access they need to do their job successfully (desk, computer, phone, training, etc.). Being prepared for the employees first day will help make them feel welcome. Scheduling one-on-one meetings with their manager to discuss the responsibilities and expectations of their role. An introduction to the team; consider a team luncheon to welcome the newest member. Assigning a mentor to assist them with training and direction in the initial phase of their employment. Strong onboarding programs build strong foundations. It introduces the employee to the company culture and creates relationships with their manager and peers. It helps them become more confident in their role, increases motivation and productivity and boosts performance. Onboarding shows new and existing employees they are valued, increasing job satisfaction, improving employee retention and reducing turnover.